Rolling hills, sleepy villages, olive groves, remains of old civilizations combined with splendid views of the Bay of Kissamos. 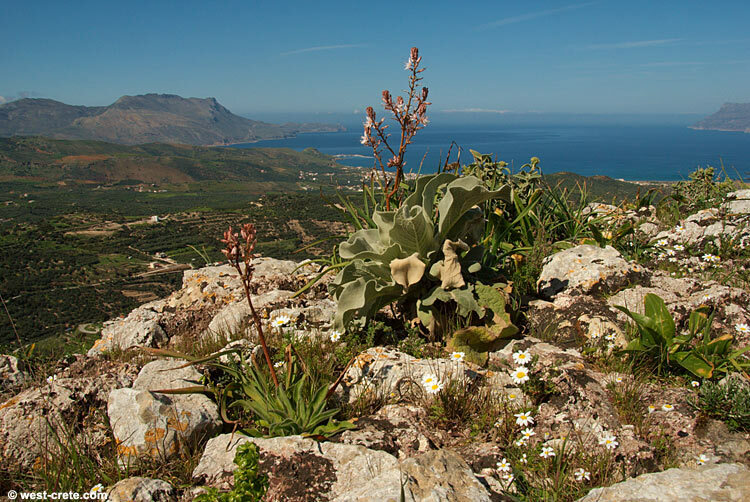 The excursion to the hilltop stronghold of Polyrrhenia takes you a little inland of the town of Kastelli – Kissamos in the far west of the island. 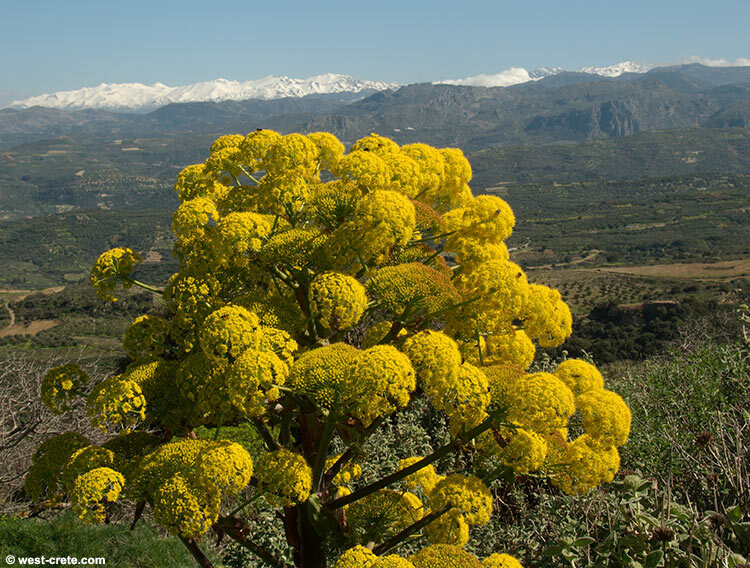 It can easily be combined with a visit to Falasarna. 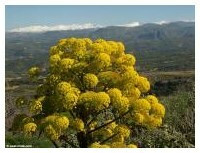 You will find different spelling of the name Polyrrhenia such as Polyrrhinia, Polirinia or Polyrinia. The name probably comes from the ancient Greek and means ‘many sheep’. There are several signs in the village that will point you to places of interest. 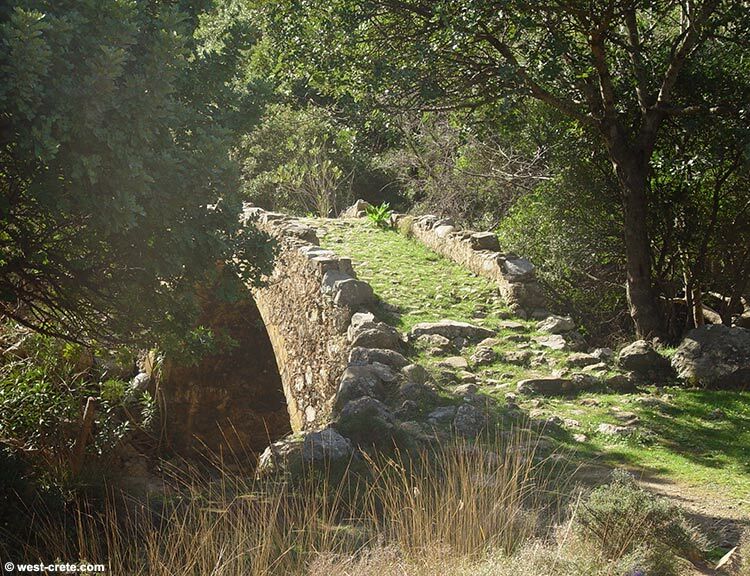 In the lower part of the village you can see some remains of a Roman aqueduct. 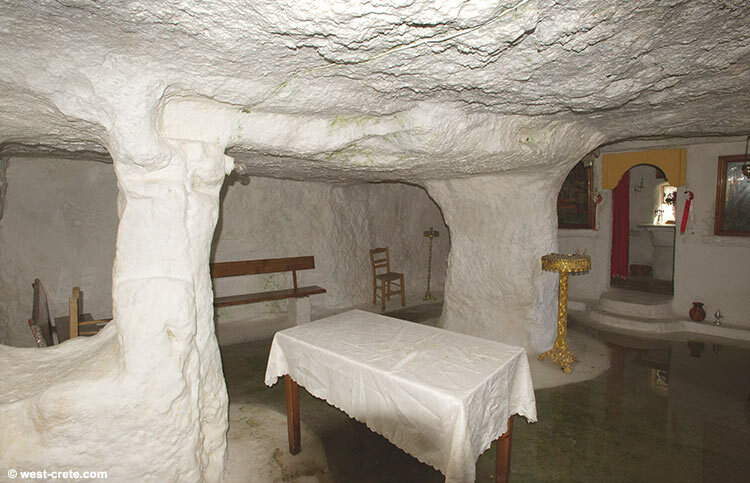 Further up there is a building with huge Venetian arches as well as a really pretty rock chapel (with a lovely shaded yard outside the church) which is well worth a visit. Carrying on further up you will eventually leave the village and after another 5 minutes you get up to the crest near the church of the 99 Holy Fathers (closed) and the village cemetery. 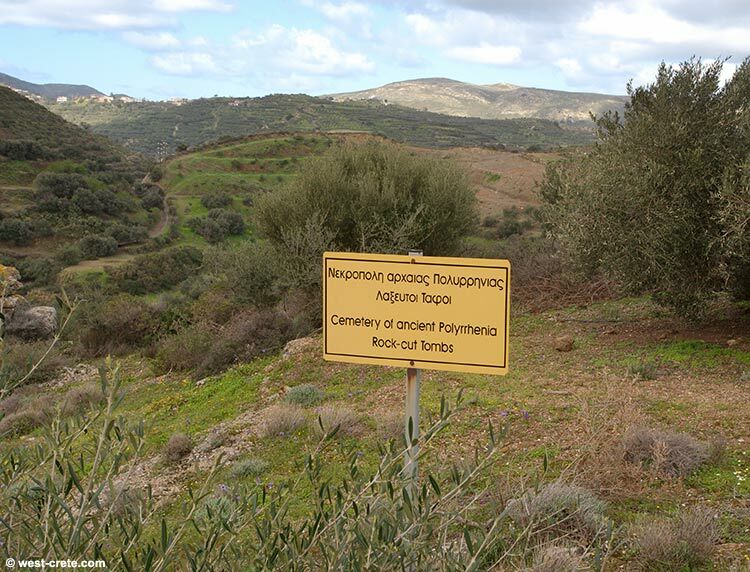 If you prefer not to walk up the hill you can also walk back to your car and follow the yellow sign for “Ancient Polyrrhenia Acropolis” at the entrance of the village. It is a steep drive up past a small tavern (called Acropolis) which offers a terrace with superb views of the coast and the rolling hills. Good simple food and a great place to be at sunset time. Park your car just beyond the tavern. 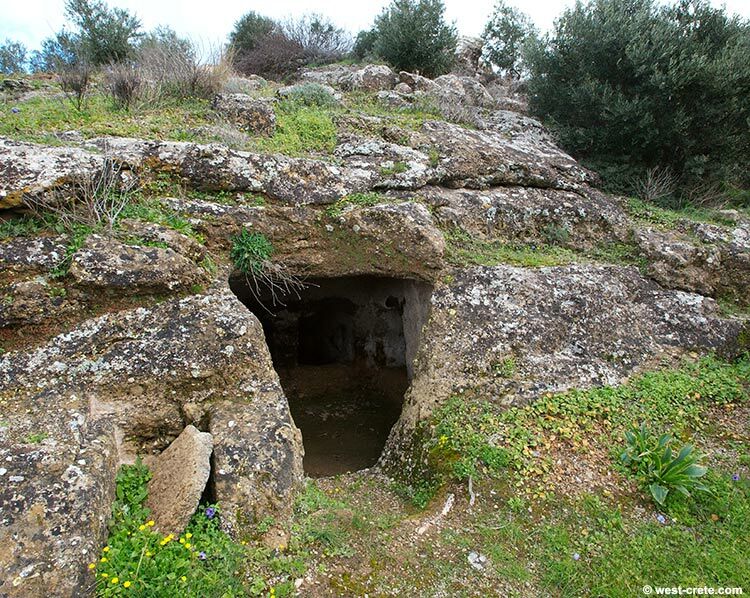 Right next to the Acropolis taverna there are some ancient cisterns (the aqueducts supplying the lower town could not bring water up here) as well as a few beautiful threshing floors scattered along the ridge. 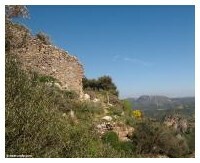 From that point on the ridge you also have a good view of the hill with its fortifications (most noticeable remains along the northern part of the hill). You can go up the hill following a path just beyond the church of the Holy Fathers. 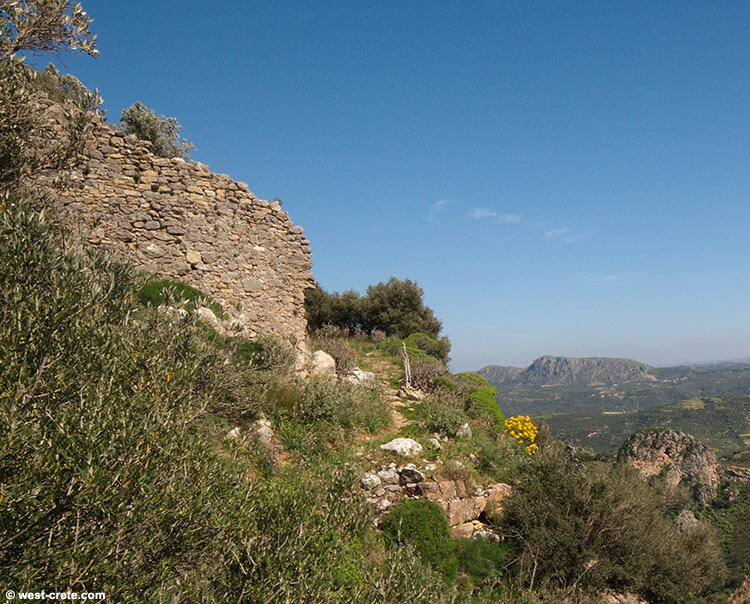 The path winds its way up and around the hill, first along the southern side crossing some fortification walls then up along the eastern side, past a small chapel and just beyond more Roman cisterns (careful, they are right along the path and you could fall into them!) before arriving to the acropolis at the top. Great views all around. The walk up the hill takes about 15 minutes one way and apart from the good views it is also a superb place for spring flowers. 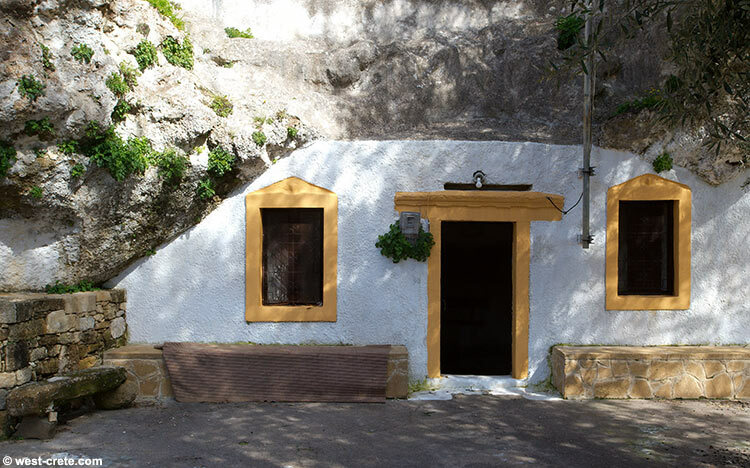 It’s one of the best spots in western Crete. 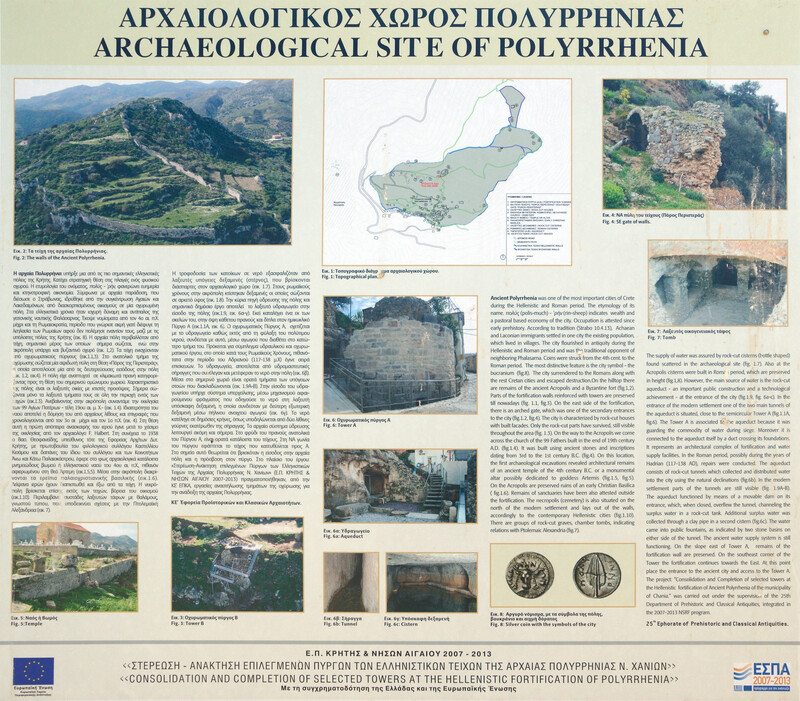 Polyrrhenia was a city state that flourished from Archaic (6th century BC) to Roman times. 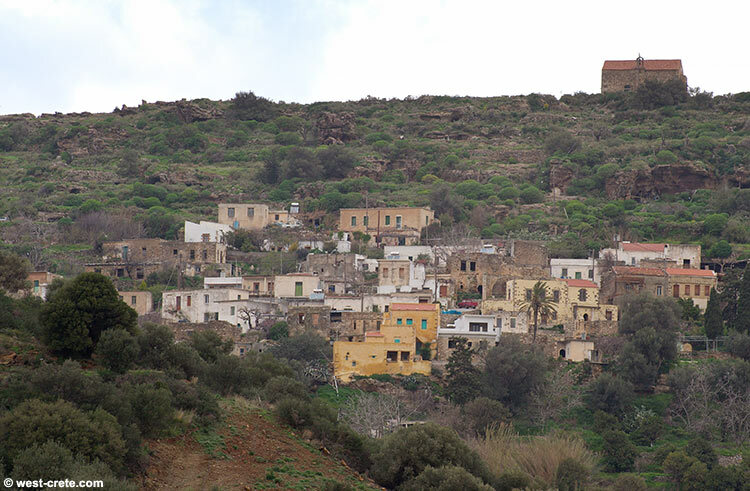 It was the most important Classical city of western Crete after Kydonia (today’s Chania). It was a traditional enemy of Knossos and Kydonia and also of the neighbouring harbour of Phalasarna. The site was re-occupied in the late 10th century and remained in use as a Venetian stronghold throughout their occupation. 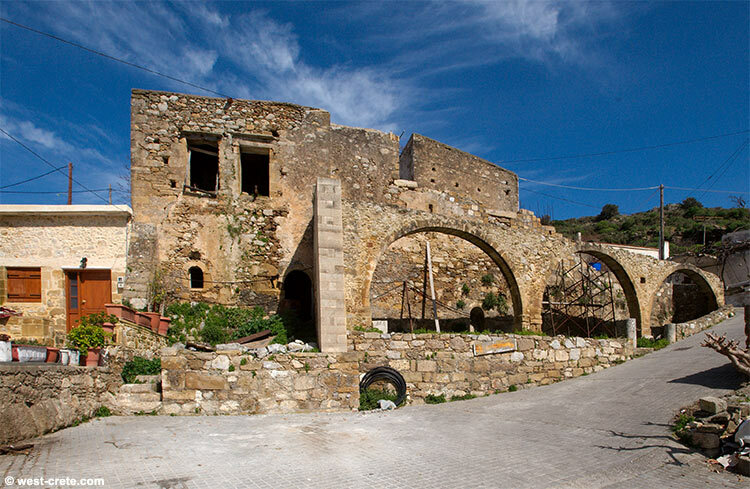 Most of the fortifications that are still visible today date from the 2nd Byzantine period and the Venetian period but were built on older fortifications dating back to Hellenistic and Roman period. 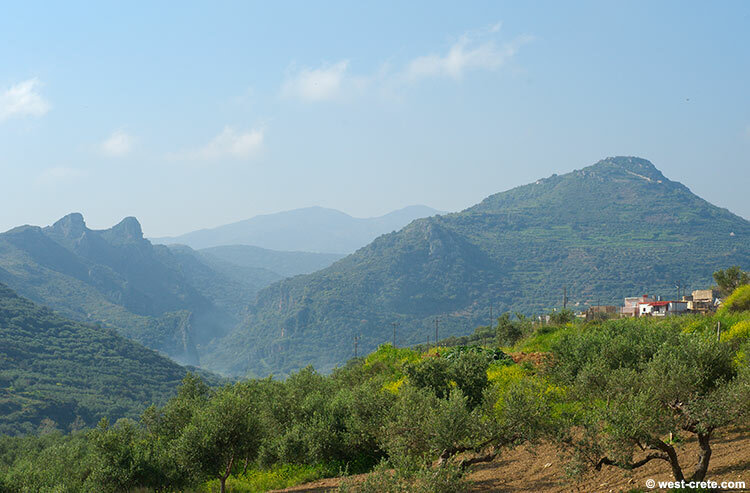 Walk down from the centre of the village until you reach a road below which you will follow for about 2 km. I won’t be more precise because there are several routes from the village centre to the road. Once on the road follow the directions below. 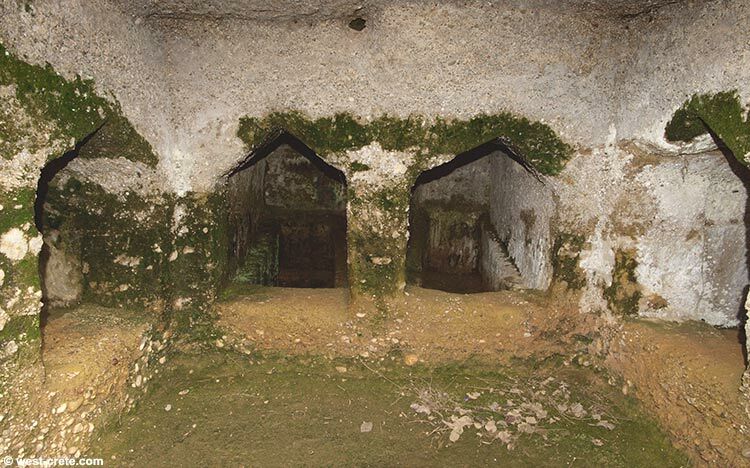 Drive back out of the village for 100 m until you see a sign for Cemetery of ancient Polyrrhemia. Drive down this road, descending into the valley. After around 1.5km the road will cross the valley to the left (it’s a small riverbed). Do not follow the main road but bear on your right (so stay on the right side of the valley) and follow and older unpaved track. It will take you to a fence which you will need to cross in order to get to the path to the gorge. There is a sharp right turn at this point. If you follow this for 50 metres (going steeply up) you will be able to park your car by a chapel. 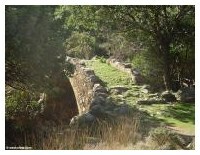 Shortly after the start of the road leading down into the valley there is another sign to Cemetery of ancient Polyrrhemia to your right. It is possible to drive down there but it is a steep, narrow dirt road so actually easier to go down on foot (and leave your car on the main road at the turn off. The road os wide there so parking is not a problem. The cemetery is about 300 m on the way down. 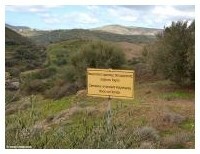 It’s not really signposted but if you pay attention you can distinguish a sign at the site peaking between the olive trees. 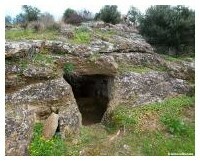 There are a few rock-cut tombs but not much else so it may not be worth the effort. 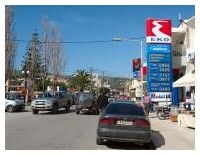 From the National Road head for the town of Kastelli or Kissamos (it is one town but it has two names. Go figure!) 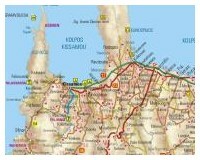 located about 40 km to the West of Chania. 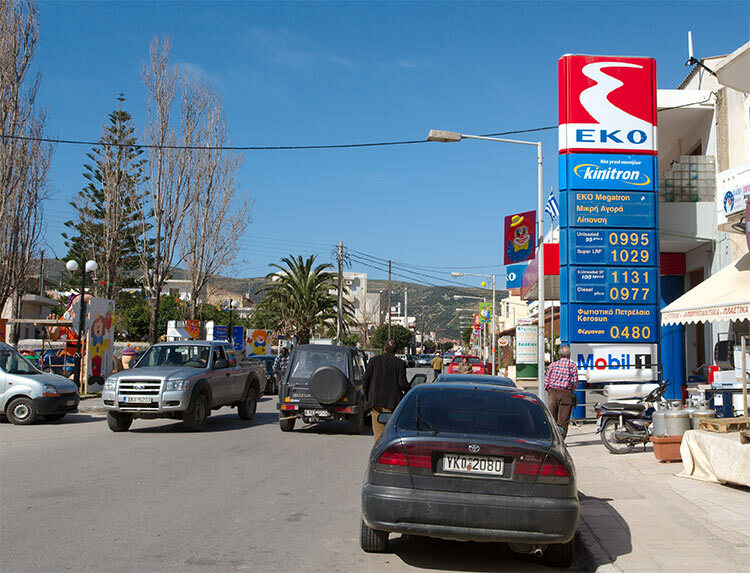 In the centre of the town along the main road you will see an EKO petrol station to your right. 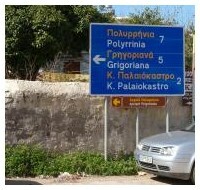 About 20 metres beyond the petrol station but on your left there is sign to Polyrrinia 7km. This is where you turn and head up the hill past the town police station. 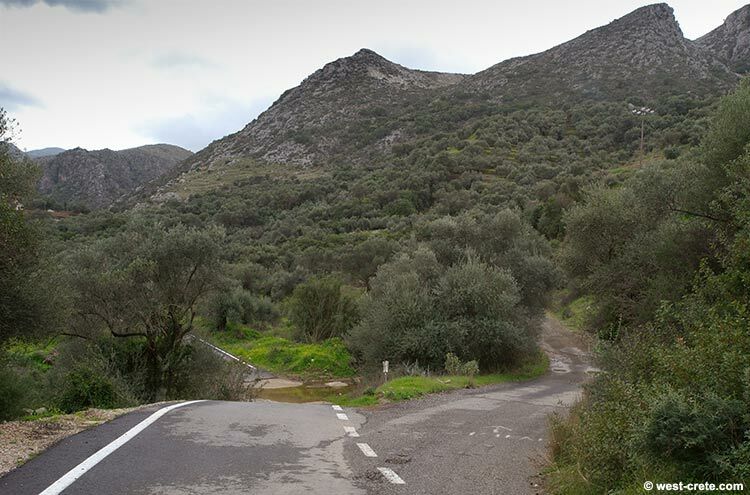 About 50 m beyond the police station the road branches and there is no sign but bear to your left (the right branch takes you to a newly built residential area) and carry on for 7 km past the villages of Kato Paleokastro, Karfiana and Grigoriana until you reach Polyrrinia. On your way you can already see the steep hill with the acropolis of Polyrrhenia and some remains of fortification walls on its northern slope (but watch the road if you are driving, it's a narrow road). 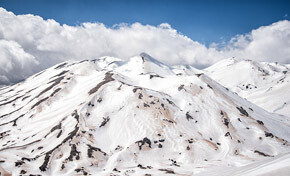 To the left (East) of the hill there is another hill with interesting "horns" reminiscent of the Minoan horns symbol. Coincidence? 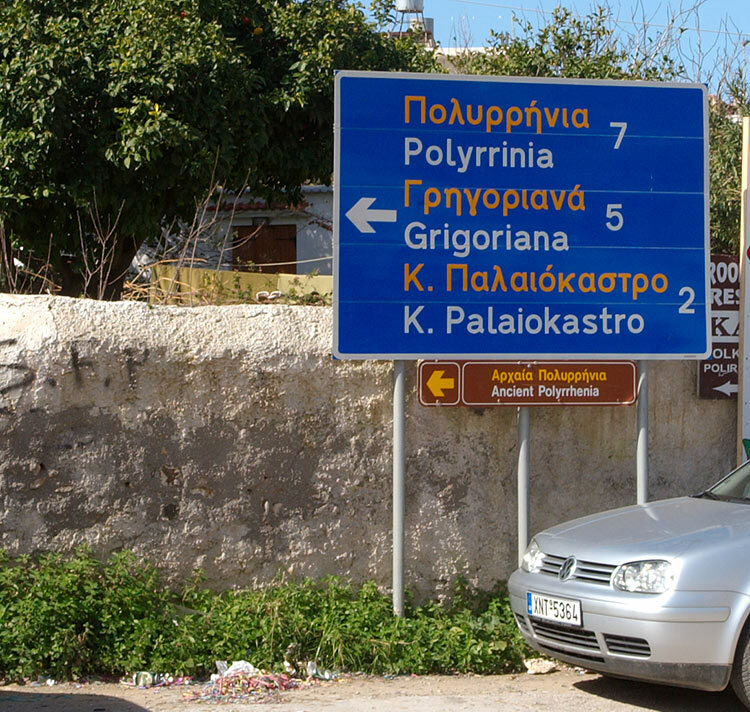 Shortly after passing a yellow sign for “Ancient Polyrrhenia Acropolis” (pointing you towards a small road turning sharply to the left) the main road ends and this is where you can park your car and can then walk into the village. 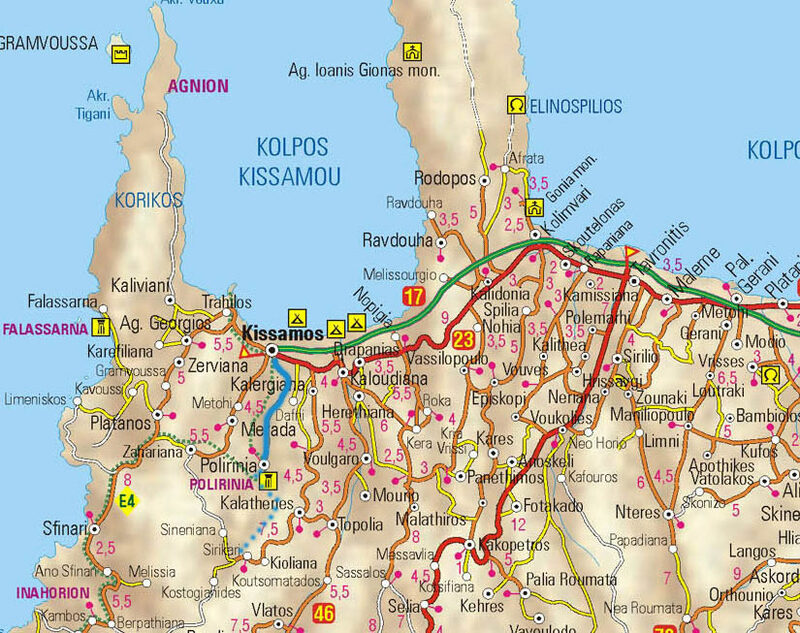 Return to Kissamos is by the same route.